Melodic UK singer-songwriter-storyteller dips deep into Blues Americana with every song a variant spoke of roots music including Country, R&B, Swamp and more - all dependant on the on the ever revolving Blues wheel. A plaque on a seafront bench? 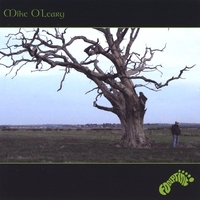 Mike O’Leary has decided to create a ‘Footprint’ - and one that will last well beyond the realms of fashion. This album explores a wide range of Blues influenced styles and textures. Mike takes you on a musical tour around blue Americana and beyond. Old and new styles benefit from purposely contemporary lyrics in order to resonate with the modern listener and relate to the condition of our planet in the 21st Century. There are no 12 bar ‘My baby done left me’ themes here and the album benefits from this fresh approach. Strong band performances support Mike in his role of singer, songwriter and guitarist adding some impressive instrumental and vocal performances throughout. Each new song has imparted a different flavour allowing the musicians free reign to express their skills to their best abilities; whether Knopfleresque, Swamp, Country or Chicago influenced. Highlights include the opening number ‘Breathe Again’ exploring bereavement; the hypnotic ‘Evangeline’ and the driving ‘Gambling Man’. Every journey starts with just one ‘Footprint’ – take that step with Mike O’Leary; you will not be disappointed.